Flying can make some people anxious, moreover to do with their bags reaching the destination safely. All airlines use paper tags and they are prone to being worn-out or tearing apart. You’re stuck with no bags in that case. Qantas Airlines has been using the ‘Q Bag Tag‘ for a while now and costs about $30, and now British Airways has teamed up with Designworks to develop a “highly innovative electronic Bag Tag”. British Airways will begin testing this state of the art electronic bag tag featuring an e-ink display that can be reprogrammed again and again using your smartphone. This could do away with the need to have a new paper tag every time you fly. 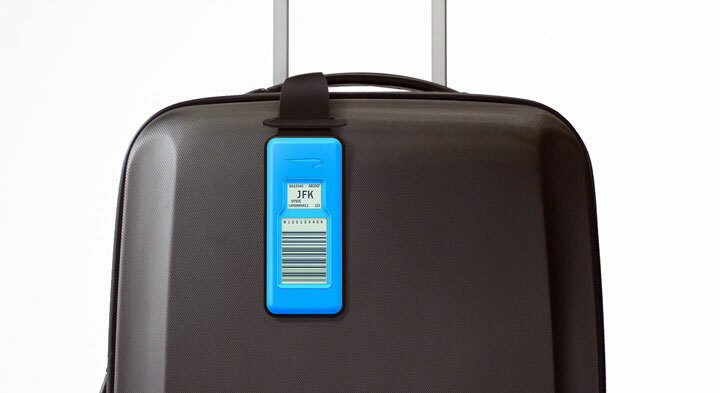 Once checked in, customers just need to hold their smartphone over the electronic tag, which automatically updates with a unique barcode containing their flight details and an easy-to-see view of their bag’s destination. Not requiring a traditional paper tag to be printed and attached, customers can then save precious time by having their electronic tag quickly scanned at the bag drop, going straight through security to relax before catching their flight. 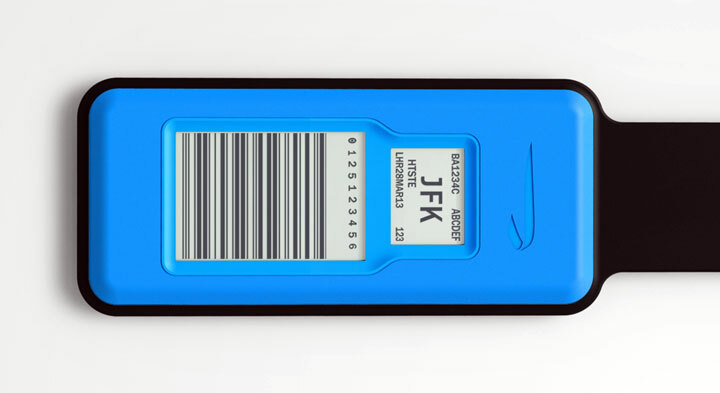 How will the use of NFC technology be allowed by FAA or other authorities around the world? Also, what will be the pricing of this device and what kind of security will it implement in terms of someone removing it from your bag or manipulating the data. We will just have to wait and see.